Hey lovelies! 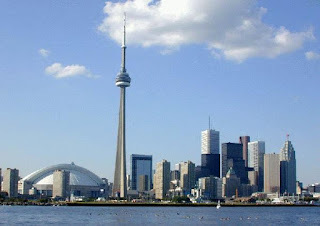 Just a quick note to let you know that I will be off for 10 days starting today vacationing in Toronto, Hamilton/Niagara Falls area and Buffalo. I'm mainly visiting family in TO, doing biking wine tours in Niagara area and then hiking and shopping in Buffalo. This is a much needed time away for me after the super stressed out month and half here at work. 2 Responses to "Off on Vacation"
Enjoy my luv! See ya soon! Enjoy your trip! I love Toronto & Niagara Falls!